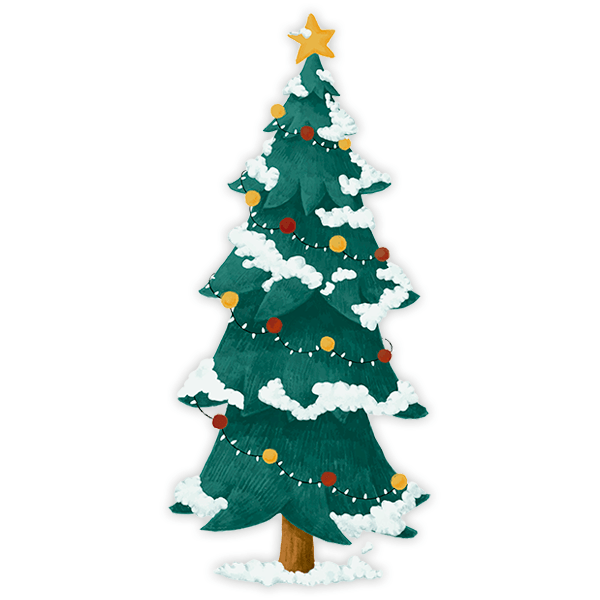 Kids wall sticker Snowy Christmas Spruce. 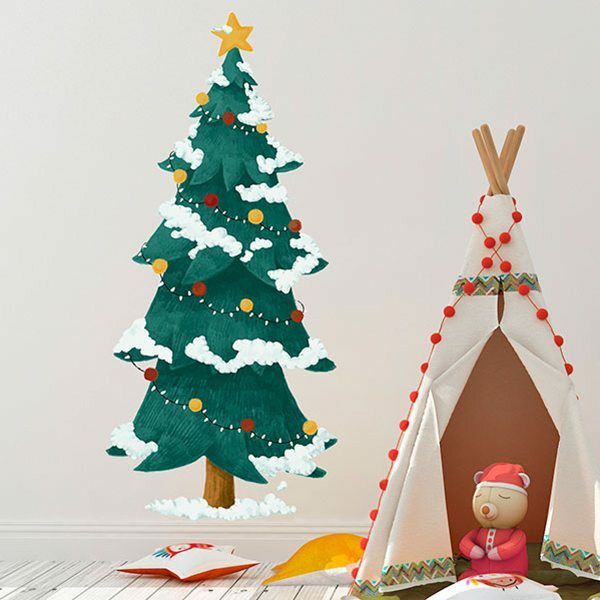 Kids wall sticker Snowy Christmas Spruce. The fir trees are the most representative of Christmas and are usually chosen to decorate the tree. In this case the fir tree is full of snow and is also decorated with lights, balls and a star on top. That tells us that Christmas is coming. Size: 68 x 70 cm.